World Luxury Hotel Awards are back! Voting has started! Be a part of it! It is again this time of the year that the hospitality industry is waiting with interest to see the leaders of the hospitality industry get the crown according to their excellence. What do we mean? The World Luxury Hotel Awards, of course. Group, Luxury Villa Group and Luxury Serviced Villa. We want your support, which is only one click away! 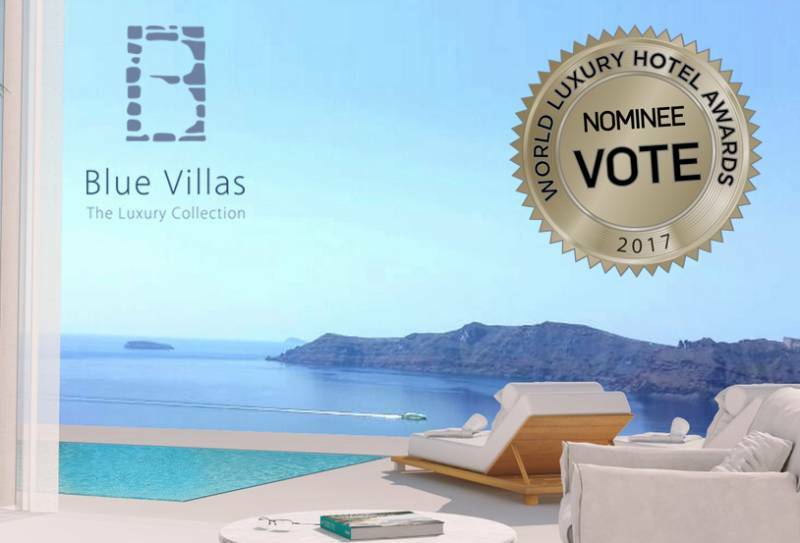 Vote for BlueVillas and enter the contest for a chance to win a complimentary 2-nights stay in one of our villas! The voting period is September 1st – September 30th! #1. Visit https://luxuryhotelawards.com/hotel/blue-villas-collection/and select “Luxury Serviced Villa” or “Luxury Villa Group”. #2. Enter your e-mail and "Vote for this Hotel”. #3. Check your email and click on the link you received in order for your vote to count. #4. Forward the same email to us in order to enter the contest to win the complimentary stay. #5. Share with your friends and family! So, keep your fingers crossed, wish us luck and spread the word! In case you need to daydream about your next holidays as well or you need inspiration, feel free to browse our collection here.